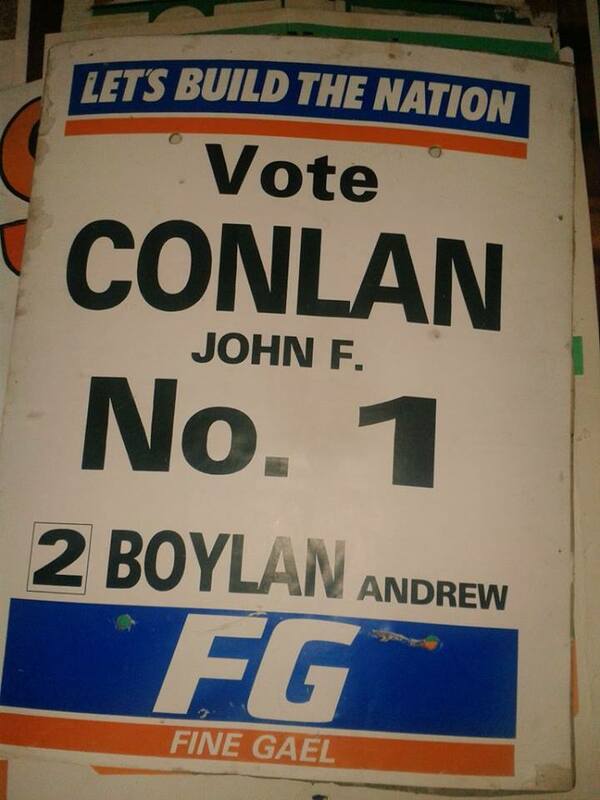 From the 1987 General Election a Leaflet and Poster for Andrew Boylan and John Conlan who were running for Fine Gael in Cavan Monaghan. Andrew Boylan was elected. 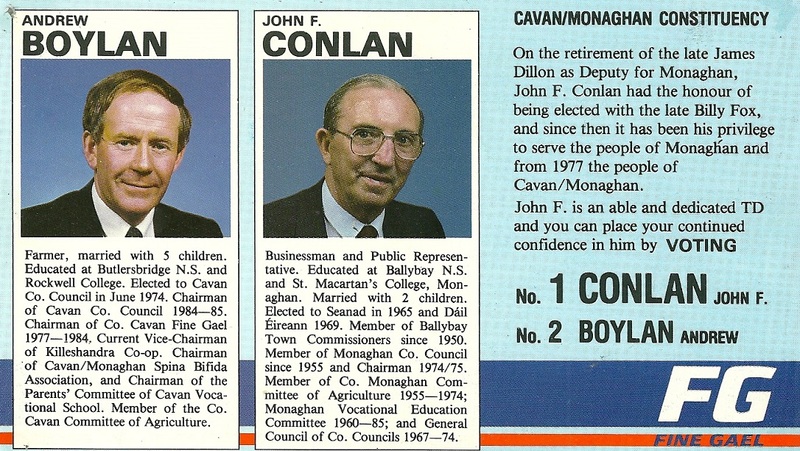 Due to Tom Fitzpatrick being Ceann Comhairle Cavan Monaghan only had 4 rather than 5 seats available and Fianna Fail did very well winning the other 3 seats.